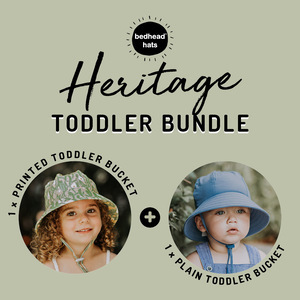 Specifically designed to be worn in prams and baby carriers, the hat sits comfortably over ears while the soft back flap lies flat under baby’s neck when they’re in a pram. 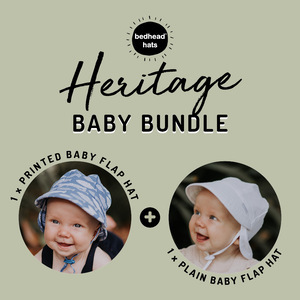 Our Heritage Baby Flap Hat is made from a silky-to-touch woven cotton fabric with an 8-way stretch, allowing a perfect fit every time. 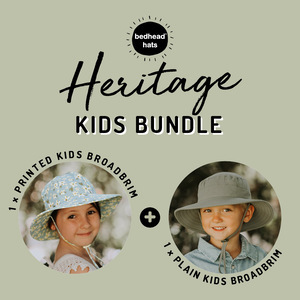 Along with our anti-flop brim and UPF50+ excellent protection rating, it’s the sun hat that converts hat haters into hat lovers, setting them up for a sun-safe childhood. FOR EXAMPLE: The baby measures 38cms, you will need the 42cm size - giving plenty of future wear.